Heather Harville is a Registered Financial Assistant, handling client communications and services, mass mailings, case analysis, opens accounts, and preparing informational seminars. She also provides college and retirement planning for her own clients. 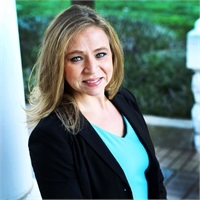 Raised in Lebanon, Heather decided to stay close to home and attended Cumberland University, graduating in 2000 with an undergraduate degree in Business Administration with a minor in Accounting. She immediately pursued a Master in Business Administration at Cumberland University and graduated in 2002. During her time at Cumberland, Heather was involved in the Phoenix Players Theatre Group and was a founding sister and served as Treasurer for the Lambda Omicron Chapter of Alpha Omicron Pi. Heather has a son, Brooks, and enjoys spending time with him. She is a member of The Bert Coble Singers and has traveled to several countries to sing with the group. One of her favorite memories is singing with the Sistine Chapel Choir in St. Peter’s Basilica during Saturday night mass. Heather is an advocate of physical fitness and enjoys running, yoga, and boxing. She has been involved with fundraising for Relay for Life, St. Jude’s Children’s Hospital and Vanderbilt Children’s Hospital. Recently, Heather has joined forces with Church Missions Network and will travel to Kenya in January 2017 to mentor women who are striving for financial stability. Heather has been employed with Wilson Bank & Trust since 2003. Prior to joining the investment team she was a customer service representative at the Baddour Parkway office. She has been with the investment team since March 2006 and holds her Series 7, Series 63 and insurance licenses.